Ideal for those looking for a relaxing getaway! 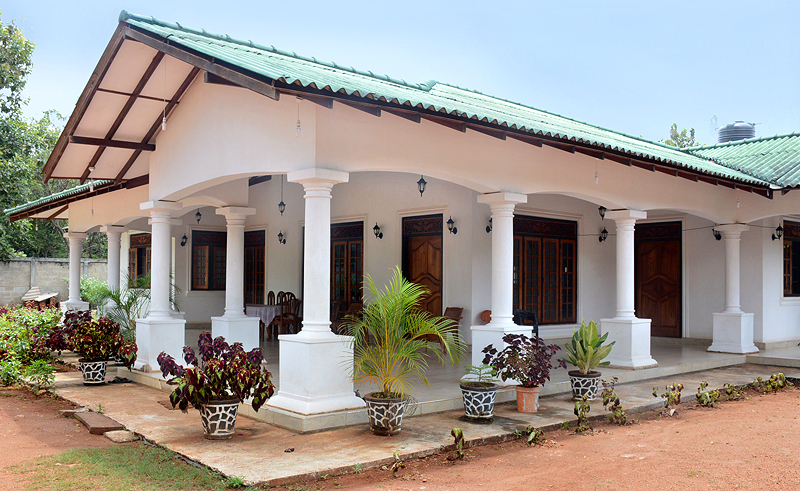 Our 4 bed villa is situated between the historical Mihintale Rock Temple and the Kanadarawa water tank. It’s just over a mile from Mihintale’s ancient temple and only 15 minutes driving distance from the Sacred City of Anuradhapura, but in total tranquility, far away from the crowds and traffic noises. 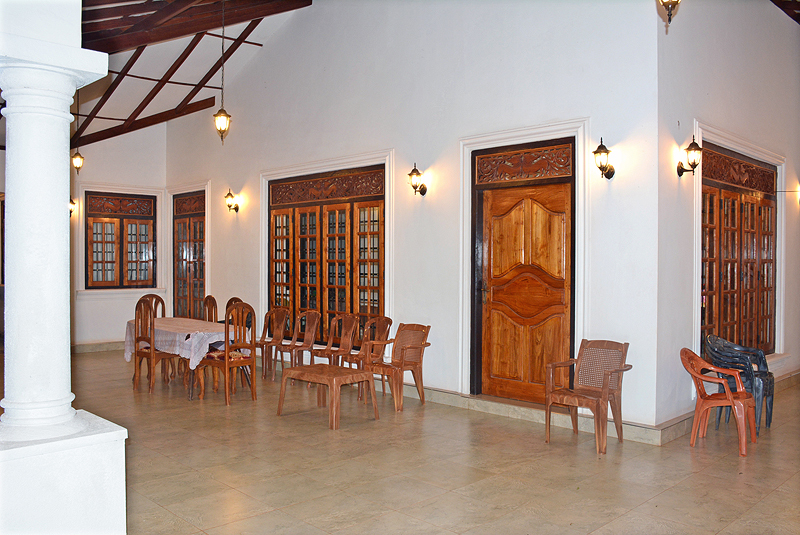 Set in a 0.75 acres garden, the villa is a mix of traditional charm and modern comforts. The villa was designed by my brother Rohan Gajanayaka, a special feature is a naturally ventilated veranda, allowing all rooms to benefit from fresh air breezes. The fully equipped kitchen with a normal fridge is accessed through an archway, at the opposite end of the sitting room or veranda. The sitting room includes a 40inch LED screen with full HD TV, surround sound system and DVD player. 4G WIFI is also available. The villa is fully staffed, our villa managers caring for you are my brother Rohan and my mother. I am Nuwan, speaking perfectly well understandable English. Our ambition is to ensure you enjoy a wonderful time in a family atmosphere right in the historical heartland of Sri Lanka. We are also proud to be exceptional good and experienced cooks for local and western cuisine, so we will prepare all your meals and shop for you, if you wish. All dietary requirements and preferences can be catered for. The whole house covers nearly 2000 square feet. The sitting room opens into an 80 m veranda, which forms the main outdoor dining room and part of the living area. The dining table has comfortable 8 seats, and the sitting area has plenty of chairs. 5 cars or 5 minibuses can be parked comfortably. 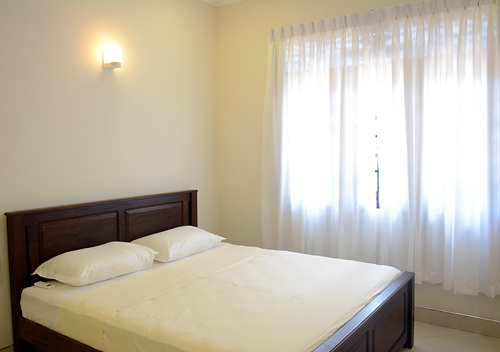 All four bedrooms with lockable doors have own attached bathrooms and are equipped with super king size double beds, ceiling fan, air-condition. 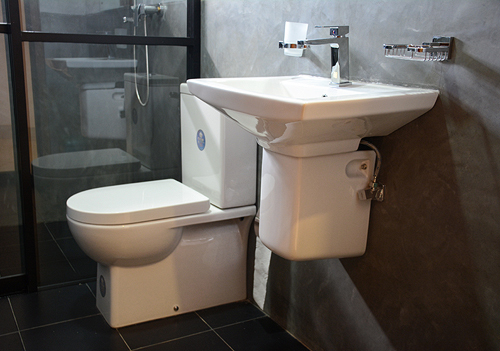 Wheelchair access is possible to every corner of the villa. All doors are double and the carport is linked to the main house. The garden attracts a variety of colourful birds and sometimes monkeys. You will have opportunities to chat with locals or see schoolchildren. If you can tear yourself away from the comfortable villa, driving distance to the world heritage site Anuradhapura Sacred City is 15 minutes, Thanthirimale rock temple 50 minutes, Polonnaruwa Ancient City 75 minutes, Sigiriya Lion Rock 50 minutes, Dhambulla 45 minutes, Aukana rock-cut Buddha Image 45 minute, Ritigala forest monastery 40 minutes, Minneriya, Kaudulla and Wilpattu national parks 50 minutes, Kandy 2.5 hours, Trincomalee and its beaches (Nilaweli/Uppuweli) 2 hours. Driving to Colombo International Airport takes about 4 hours. So the surrounding our holiday villa in the famous Cultural Triangle area offers a variety of attractions and activities for your drive-aways to have enjoyable days out. Heritage sightseeing, wildlife safaris, beach relaxation, shopping opportunities and restaurants are all easily accessible and transport with our own vehicle will be arranged on request. Driver/ guide and accommodations with meals will be provided for free. Living Room and big Veranda with Garden. We are also exceptional cook and will prepare all your meals and shop for you, If you wish. All dietary requirements and preferences can catered for.